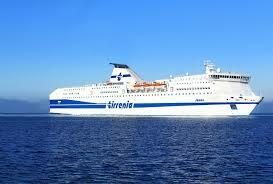 In this article we will take a look at how to get from Civitavecchia to Sardinia by ferries. 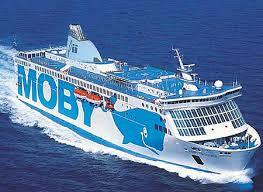 There are two shipping companies that provide connections between Civitavecchia and Sardinia: Tirrenia e Moby Lines. Civitavecchia is situated close to Rome. You can check the infromation about how to get there here: Rome – Civitavecchia. Shipping company Tirrenia provides connection to the following ports of Sardinia: Cagliari, Olbia, Arbatax. Shipping company Tirrenia provides this connection daily. On June 2016 ferries leave Civitavecchia at night: at 20.00 and at 19.00. Average journey time is 12 hours. From Cagliari ferries leave at the evening as well: at 20.00 and at 19.00. *Attention: the timetable is approximate. It changes and varies a lot. Therefore, it is higly recommended to check the timetable on the official Tirrenia web site before buying tickets. Shipping company Tirrenia provides daily connections between Civitavecchia and Olbia. Average journey time is 8 hours. There are also ferries that with a crossing duration of 5 h and 30 min. On June 2016 the ferries leave from Civitavecchia 3 times a day: at 09:00 a.m., 21:30 and at 22:30. From Olbia to Civitavecchia ferries leave at 13.00 and at 22.30. *Attention: the timetable is approximate. It changes and varies a lot. Therefore, it is higly recommended to check the actual timetable before buying tickets. Shipping company Tirrenia provides connection daily. Average journey time is 10 hours. On June 2016 ferries leave from Civitavecchia at night, usuallt at 19.00. From Arbatax to Civitavecchia leave late at night at 23.59. Shipping company Moby Lines connects daily Civitavecchia-Olbia every day. Average journey time is 5 hours. On June 2016 ferries leave Civitavecchia at 14.30. From Olbia ferries leave at 8.15. *Attention: the timetable is approximate. It changes and varies a lot. Therefore, it is higly recommended to check the timetable on the official Moby Lines web site before buying tickets.